Richard has been helping people prepare and maintain their financial futures for more than 30 years, working primarily with farm and ranch owners and senior citizens. Having been associated with New York Life since his career’s inception, Richard is just as impressed with the company’s reputation as they are with his. 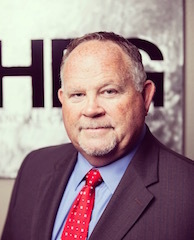 An integral part of Hoover Financial Group, Richard also humbly holds a position as a Lifetime member of the Million Dollar Round Table*, a Life Council Member of NYL, and is a Member of the Chairman’s Council^ of NYL. These honors say many things about Richard, above all that he is hardworking and loyal. As someone who truly enjoys helping people protect their assets, he takes great heart knowing he can give his clients the satisfaction of a job well done. *MDRT is the standard of excellence in life insurance sales performance. 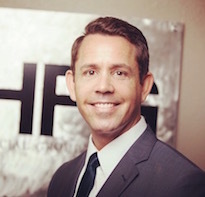 Darrick handles investments and asset management* for Hoover Financial Group. His primary roles within the firm include, but are not limited to, retirement planning, 401K rollovers, wealth accumulation strategies and allocation responsibilities. He specializes in working with a client profile consisting of pre-retirees and retirees in the aircraft and healthcare industries. Passion for the family business came easily to Darrick many years ago while he was in school for finance and economics. His close relationship with his father ultimately lead to the creation of Hoover Financial Group in 2004. Watching his father every day has taught Darrick how to work hard, truly value relationships, and place his loyalties where they matter most. Born and raised in suburban Wichita, Darrick has put down roots in his hometown. A true family man with small town values, he spends as much time as possible with his wife and two young children. Giving back to the community is extremely important to Darrick, which is why he volunteers for Youth for Christ, Young Life, Ronald McDonald House Charities and coaching youth basketball at the YMCA. When he’s not grooming his son to be the next three-point shooter for the Kansas Jayhawks or busy being wrapped around his daughter’s little finger, you’ll find Darrick enjoying the tastes and sights of the world with his wife. *Financial Adviser offering investment advisory services through Eagle Strategies LLC, A Registered Investment Adviser.